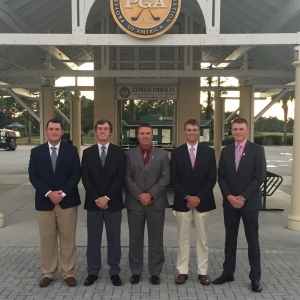 For the 11th consecutive year EKU’s PGA Professional Golf Management Program participated in the Jones cup in St. Lucie, Florida. 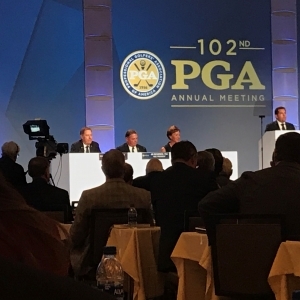 Each year the PGA of America hosts an Annual Meeting for the Association. In conjunction with the 102nd PGA Annual Meeting held November 6-9, a University Program Leadership Session was conducted at the Renaissance Indian Wells in Indian Wells, California. 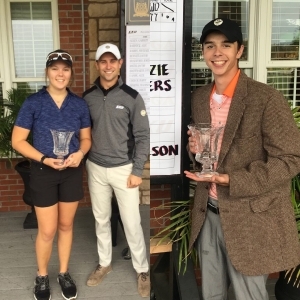 On October 19, the alumni of the PGA Golf Management program, staff, and students at EKU hosted a tournament for a very important cause in the John Hines Classic. Forty-eight people played on 12 teams in a four-person scramble. The event raised $3,501.86 to create a scholarship for deserving PGM students. PGA Golf Management (PGM) Visitation Day at Eastern Kentucky University was held on Monday, October 8, 2018 from 9:00 am to 3:00 p.m! 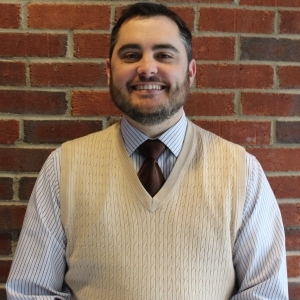 EKU's PGA Golf Management program is pleased to announce that Benjamin Collie has been selected to receive the S.J. Garner Student Excellence Award for 2017-18. 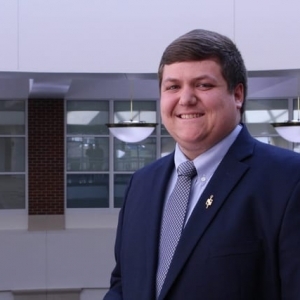 Benjamin is a senior Marketing, PGA Professional Golf Management major from Washington, W.V. 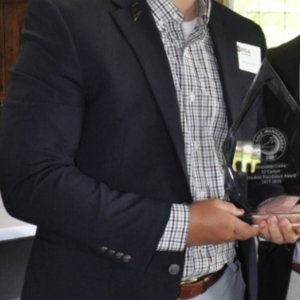 He received the award at the PGA Golf Management spring awards reception May 11th at the Arlington Mule Barn. 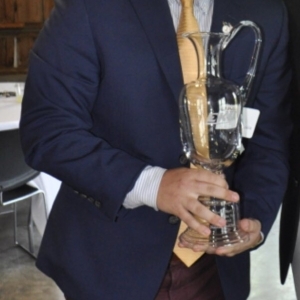 Nate Bratcher, graduating senior from Louisville, is the top point earner and claims the EKU Professional Golf Management program’s Dr. Norb Elbert Award. 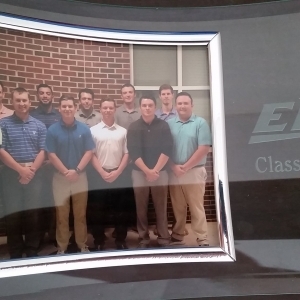 EKU's PGA Golf Management program celebrated the end of the 2017-18 academic year with a special recognition for graduating seniors on May 11th at the Arlington Mule Barn.